Sacramento native Garrick Worrell accepted his first job out of college in 2016 with PG&E as a systems engineer at the Diablo Canyon Power Plant. STAFFING DIABLO A state bill co-authored by SLO County's representatives would restore a $352-million employee retention package for Diablo Canyon workers, which they argue is essential for avoiding an early plant shutdown. Then, just two weeks before his start date, PG&E announced a bombshell decision that would leave him and the roughly 1,500 other employees at the plant in a predicament: Diablo was shutting down. Not right away, but in nine years, to provide transition time for the company, California, and SLO County to chart a path forward that minimized the various impacts of closing the state's last nuclear power plant. While many are preparing for a future without Diablo Canyon, until that closure date of 2024-25, the plant will need to continue pumping its full load of power onto the electricity grid—which means PG&E has to find a way to retain most of its highly skilled operators and engineers. "It takes a lot of skilled workforce to operate a nuclear plant," Worrell, 23, told New Times. "Attracting a team to want to stay at a nuclear plant that's going to close is always a challenge." PG&E and its labor groups developed a plan to keep Diablo running safely. The company decided to offer all plant employees 25 percent bonuses (of base salary) for each year that they stayed on until 2020. When that first phase expired, it'd make the same offer to the remaining workers for the period of 2020 to 2023. PG&E officials said the amount was based on average industry wages and a calculation of what it'd take to beat offers from other companies. Worrell accepted the deal, as did 86 percent of Diablo's International Brotherhood of Electrical Workers members, according to PG&E. Then in January, the California Public Utilities Commission (CPUC), the state agency that regulates utilities, decided that the bonuses—which totaled $352 million and would be charged to ratepayers—were too generous. The CPUC instead approved funding to allow PG&E to give 15 percent bonuses. "While there is certainly ratepayer benefit from Diablo Canyon being operated in a safe and reliable manner until its retirement, PG&E has failed to show that the amount of ratepayer dollars requested is necessary or reasonable," the CPUC's decision read. "PG&E should not be making promises to its employees that it does not know it can keep." The CPUC's decision has PG&E and local lawmakers anxious about an early plant shutdown, since the U.S. Nuclear Regulatory Commission stipulates minimum staffing levels to operate a nuclear power plant. 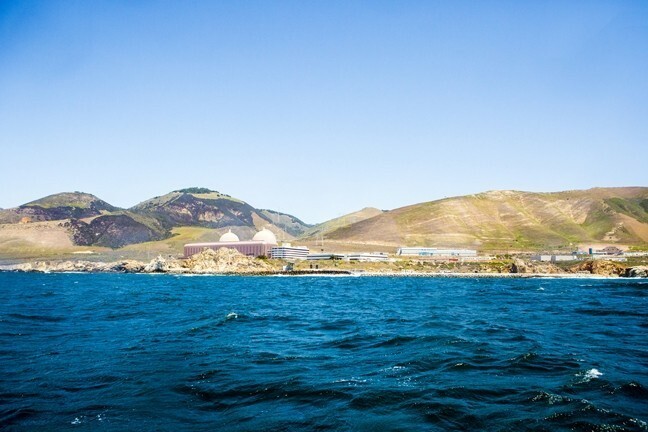 According to decommissioning documents, 60 percent of Diablo Canyon's workforce is eligible for either full retirement or retirement with partial benefits before 2024. The company is expecting pre-closure retirements but says it needs more time to train younger employees to take the reins during Diablo's golden years. "Many of PG&E's most experienced employees are retirement eligible and could leave PG&E immediately without financial penalty," PG&E's senior counsel William Manheim told the CPUC during its proceedings. "[The bonuses] are needed to retain the skilled workforce so we can transfer knowledge from the more tenured to the newly hired. ... We can manage 14 percent attrition of our skilled workers, but numbers greater than that present a serious challenge." A state bill co-authored by SLO County representatives Sen. Bill Monning (D-Carmel) and Assemblyman Jordan Cunningham (R-SLO) aims to restore the full funding for the Diablo employee retention program. Senate Bill 1090 would also preserve an $85 million settlement for SLO County and its schools and cities to mitigate local economic impacts. Cunningham told New Times that his bill would increase the average PG&E customer bill by 0.2 percent, adding 18 cents per month. Cunningham said that minor increase would pale in comparison to PG&E's rate hikes if Diablo had to shut down early. "We could be in a situation where the grid is short power," he said. "When the grid is short power, the California Independent System Operator* has no choice but buy power on the spot market, and they're basically buying natural gas out of state. If we were in an early closure situation, the energy prices for the customers are just going to skyrocket." SB 1090 recently passed through the Senate Energy, Utilities, and Communications Committee and the Environmental Quality Committee. It must now pass the Appropriations Committee before it's introduced on the Senate floor. If passed by the Senate, the process starts in the Assembly. "I'm optimistic, but we have a long row to hoe," Cunningham said. Some, including the CPUC, have suggested that PG&E shareholders, not ratepayers, could fund the Diablo worker bonuses and community mitigation package. But Cunningham said the state may not have the authority to make PG&E shareholders foot the bill. * Correction: This story was edited to accurately reflect Assemblyman Jordan Cunningham's statement about what entity buys electricity when the grid is short power.